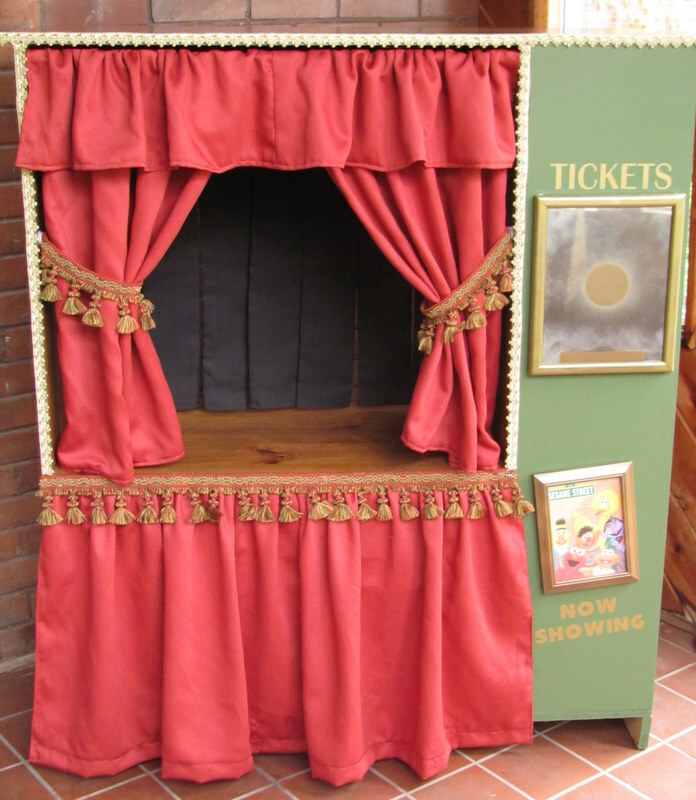 Before my first son was even born, my extremely talented mom had made him a puppet theater. 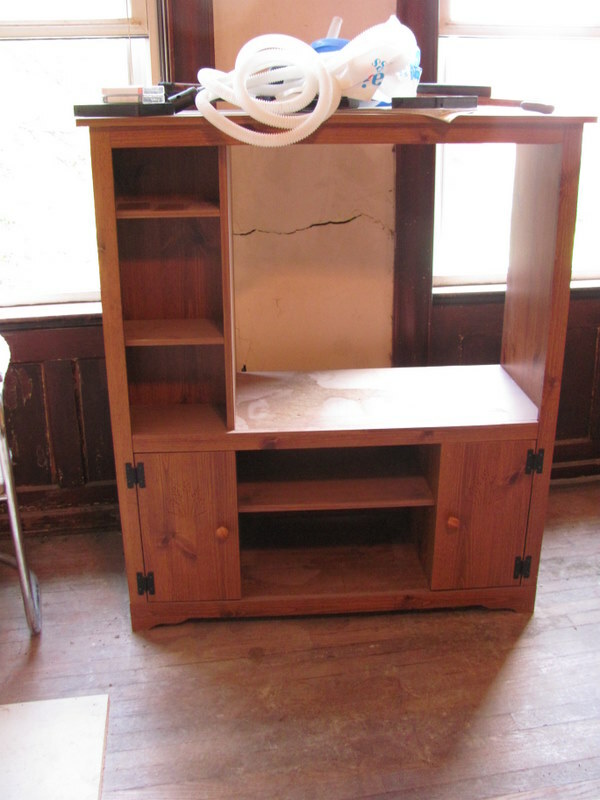 She found the old tv cabinet in a vacant building where it was destined for the dumpster. With a few materials and a lot of imagination she transformed it into a wonderful puppet theater. Check out her blog, Zoom In, for step by step directions. My son is now 17 months old and absolutely loves to play with his puppets behind it. As he grows, I know that we will do countless retellings of stories as well as many from our own imaginations. Utilizing puppets and puppet theaters is an excellent way to develop literacy skills including retelling, fluency and expression, writing, comprehension and vocabulary development. You can tap into those learners who are auditory, visual and/or kinesthetic learners. The more modes of learning that we use, the better our comprehension! You don’t need a fancy puppet theater to perform your masterpieces. You can simply use your couch and let the kids kneel behind it to perform. Puppets don’t need to be fancy or expensive either. In fact, The Chocolate Muffin Tree blog did a fantastic job of compiling 18 Creative Ideas for Making Puppets. It’s a wonderful resource showcasing how you can make puppets from paper bags, boxes, wooden spoons and more. You can also check out my puppet show Pinterest board for more great ideas. Pop some popcorn and settle in for your next puppet show! Be sure to check out the linky party page to see where this post is linked to this week. This is fantastic! If you are not quite so creative, or have an old cabinet at your disposal, I have a pattern for a hanging puppet theater that hangs in a door frame (sewing unfortunately required) if anyone is interested. Stopping by from the Kids Co-op! I love puppetry and getting the kids involved in making stories up or retelling. Thanks for linking up to the Kids Co-op!